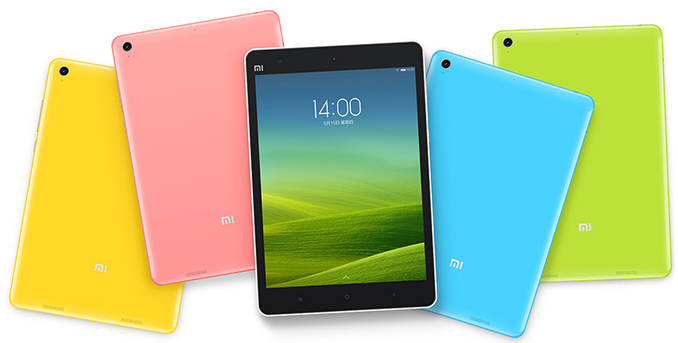 Today Xiaomi introduced its first tablet: the MiPad. The tablet bears similarity to both Apple’s iPad Mini and iPhone 5c. On the front of the tablet we have a 7.9” 2048x1536 IPS display (sourced from both Sharp and AUO Optronics) which is surrounded by an asymmetrical bezel. On the back we have a plastic shell of multiple different colors which Xiaomi itself states is made with the same injection molding technology as the iPhone 5c. There is also an 8MP Sony camera on the back with an F/2.0 aperture, and a 5MP camera on the front. The most interesting part of the Mi Pad is not on the outside, it's on the inside. The MiPad is the first consumer device to be announced that is powered by NVIDIA's Tegra K1 SoC. As you may recall, NVIDIA introduced Tegra K1 to the world at CES 2014. It marks a huge departure from NVIDIA's mobile graphics strategy, abandoning the old Tegra GPU roadmap in favor of its desktop Kepler architecture. Tegra K1 has two flavors, both built on a 28nm HPm process. One uses NVIDIA's Project Denver which will include two custom ARMv8 cores designed by NVIDIA. Denver is not slated to ship until later this year and so what we see in the MiPad is the other flavor of Tegra K1 which is a quad core ARM Cortex A15 design. Similar to other recent Tegra SoCs, this version of the K1 features four Cortex A15s plus an additional companion Cortex A15 optimized for lower frequencies for periods of low CPU usage. The CPU cores are based on a newer revision of Cortex A15 (r3p3) which includes finer grain power gating to reduce power consumption compared to revision r2p1 in the Tegra 4. This increase in efficiency will help balance out NVIDIA's move from a 1.9GHz max clock speed on Tegra 4 to over 2GHz on Tegra K1 (the move to 28nm HPm should help as well). The Tegra K1 SoC in the MiPad will ship with a max clock speed of 2.2GHz and 2GB of LPDDR3 RAM. 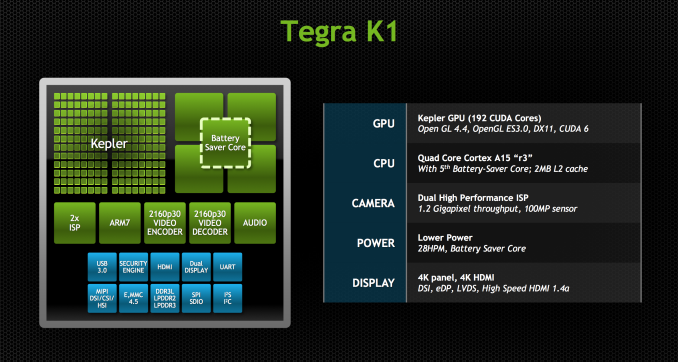 The GPU on Tegra K1 is something completely different from previous Tegra designs. Previous Tegra chips integrated NVIDIA's GeForce ULP core designed exclusively for its mobile platforms. With Tegra K1 Nvidia abandoned the idea of having a separate mobile roadmap for GPU designs and has merged its mobile and PC GPU roadmaps. The result is that Tegra K1 and all subsequent designs will ship with GPUs using the same architecture as NVIDIA's PC parts. With Tegra K1 we get a complete implementation of NVIDIA's Kepler architecture with 192 CUDA cores, 4 ROPs, and 8 texture units. It also brings along OpenGL ES 3.0, OpenGL 4.4, DirectX 11, CUDA 6.0, and every other API that Kepler supports. NVIDIA has also shown a commitment to releasing software that will take advantage of their mobile GPUs. The company recently worked with Valve to bring Half Life 2 and Portal over to the NVIDIA Shield which is powered by a Tegra 4 CPU and I am sure that crafty users will bring the apps over to Tegra K1 devices if NVIDIA does not do so itself. Beyond the SoC, the other internal specs for the MiPad include a 25.46 Whr (6700mAh) battery, 16 or 64GB of internal NAND, and a MicroSD slot. Connectivity includes support for 802.11 b/g/n/ac and Bluetooth 4.0. 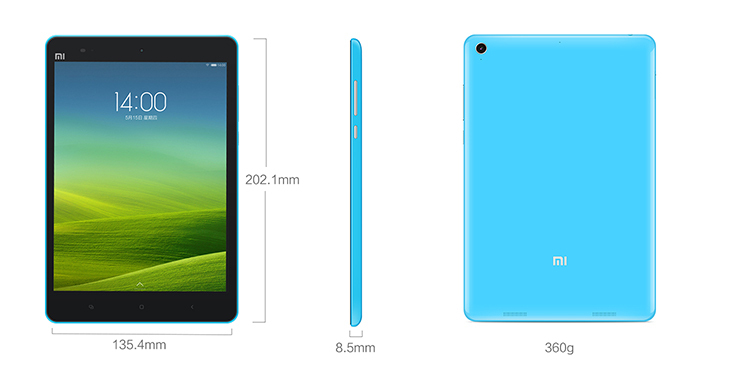 As with other Xiaomi devices, the MiPad runs Android with the MIUI UI atop it. It will launch in China sometime in June priced at 1499 yuan ($240) for the 16GB model and 1699 yuan ($272) for the 64GB model. Most smartphones released by Chinese OEMs are for the Chinese market only. Only the major players like Huawei, ZTE and others release their phones to other markets, and even then it is done selectively. All of them have many models which are only for China. Xiaomi themselves are slowly rolling out their international presence but not in the West, at least not yet. I believe Anandtech as a technology blog reports on the latest technology, not just technology available to some markets. Impressive... that A7 is that good compared to a company that's been doing graphics exclusively for 20 years. A8 will be out this year as well and will likely close the gap a bit.